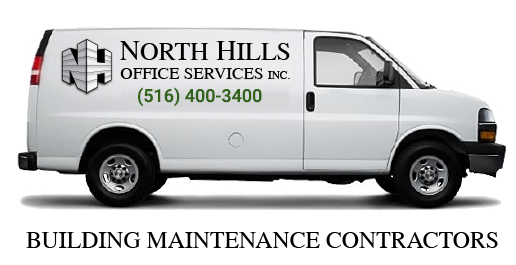 Full-Service Building Maintenance Services in New York | North Hills Office Services Inc.
At North Hills Office Services Inc. we are as concerned as you are in keeping your facilities in top shape at the lowest possible cost. To that end, we offer maintenance contracts, which save you money and address the ongoing use issues to keep your property in good order. Our professional team can offer complete building maintenance services that range from full service office cleaning to construction cleaning, ceiling restoration or security services and more. If you need Building Maintenance in the New York metropolitan area, we are here to help! At North Hills Office Services Inc. we provide building maintenance services in Long Island, Queens, Brooklyn, Manhattan, Westchester and New Jersey.